This is the second collection of music and information from obscure bands from the 60’s and the 70’s. Similarly to the first post, this contains general mixture of hard rock, blues & prog rock artist from all around the world. However, as I already stated in the opening post, sometimes I will detour from Rich’s original post – and this time already came! The cause of it, that I already presented Jericho Jones in the first post (while I reviewed Jericho’s history) thus I skip them now. Rich also covered Crank’s sole release. As a compensation, I try to reveal more interesting music and info from the others (especially about Omega and Lucifer’s Friend, which will be introduced in detail in a separate post). In addition, I shall detour from Rich’s numbering, as if I would keep it with that, it would result even longer posts than the first one was. This means (somewhat) shorter articles, which can be easier to run through for you and more flexibility and more frequent posting for me. Do you dare to sweep over the hot embers to discover what others tried to remove from the past? It was quite a long ago, when I offered new content, but hopefully, I can present some interesting materials in compensation! 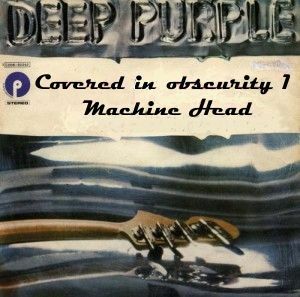 The Rat Salad Residuals series will continue, but for now, I’d like to present a new Covered in Obscurity post, where obscure bands covered the tracks of well-known artists. The debut album of Led Zeppelin rightfully earned its’ success and fame, as a milestone for the hard rock, heavy metal and to the rock music in general. One of the perfect albums of the history of music, where every song were superb both on their own and together as an album. Talented musicians played in top form and with their innovation technique and virtuose playing, all the four of them became major influence of hundreds of thousands. More importantly: their creation and themselves became one of the legends and their heritage lives on and influence music lovers all around the globe decades after the original release. Nowadays it is very popular by record labels to create cover versions of classic albums or a best of collection, where other musicians/groups covers classics. The idea popped into my mind, that a lot of obscure artist made tons of covers and it would be nice to play around the idea “what if record labels would have made a cover version around the release of the album?” by collecting and arranging covers to “recreate” legendary albums. Meanwhile, I try to present some rarely known hard rock/blues rock/prog bands which fit to the topic of the blog. There will be two slight difference here in comparison to the blog – I will present some well known groups here, although I try to focus not their well known covers (e.g. Led Zeppelin – You Shook Me), but rare bootlegs or live recordings, where they cover some of their predecessors. On the other hand, such unknown bands will appear here as well, who acted as a cover band, therefore they made no official recordings (thus they would not have a chance to get attention even from obscure collectors). Still, as we shall hear, some of them interpreted classics uniquely or spiced up them with some jams, so they definitely worth to be remembered! The first part of my series arrived, where I try to uncover and share obscure hard rock, prog, psychedelic, blues rock and proto-metal tracks which might evaded your attention yet. As in the future, I will explore a bit the bands collected in The Day After Sabbath blog, currently from the opening compilation. Welcome to the Rat Salad Residuals! My humble blog is a timid effort to homage to one of the best music historian of the obscure hard rock, proto-metal (specially proto-doom and proto-NWOBHM), psychedelic and heavy prog bands of the 60’s and 70’s, Rich Aftersabbath. In his blog, at The Day After Sabbath he made great compilation series of the above mentioned styles and uncovered thousands rare diamonds from this period. He made an enormous job in this field, he selected tracks from the LP’s/singles by his taste (which are always on high standards) – partly to present the musically the most appropriate content for the blog, partly to let the followers explore the rest of the records. Even though I am a great admirer of his work, at some tracks I felt that I wouldn’t choose that into this compilation subjectively or when I dug the records I discovered some tunes which would fit better to the collections. In addition to this, although by fans these tracks are available already on the net, people simply have hard time to dug every track to select the ones by their likening – that’s where the TDATS (The Day After Sabbath) blog helps. 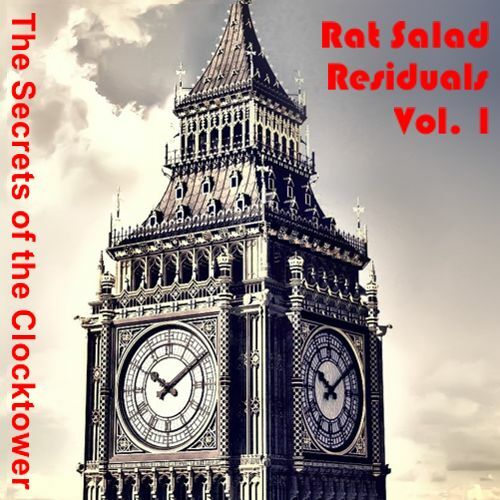 Instead of harassing Rich with my tracks and ideas, I decided to run this new blog to collect the “leftovers”, residuals from Rich’s sabbatishque Rat Salad collections and present some additional tracks which the lovers of these genres would appreciate. From time to time I try to provide my collection of these tracks, based on the original TDATS compilations. I always link the original collection also, if somebody would like to (re)discover them. Also my musical taste might be slightly different from Rich’s, as I’m rather a hard rock lover with wide musical interest (I also like blues rock, prog rock, funk, soul, jazz, classical, but I always experiment with new styles), some might miss the proto-metal heaviness here (even though I like some heavy metal bands, but overall this genre stays far from me). The tracks will vary: where Rich has choose only one track from an overall very good band, I might present more songs from them. At other points, he made very extensive job and covered almost everything from a band, so at some points I might have to skip some groups or even compilations (however, I try to compensate at some other ways). Rich also made his comps more colorful by adding covers of obscure tracks by modern bands. I intend to play a little with this things: sometimes I might present other covers, but occasionally I rather show the same songs covered by other bands or the original version of the song (if available). One thing left – I try to post these materials as YouTube links. I decided this method, because as I mentioned, these great musics are already out in the net and usually I found them there also, so it is the easiest way to collect and post them. Also due to the relatively good net coverage of the world, hopefully it would not mean any problem to the listeners. On the other hand, these videos might be unavailable (due to copyright issues or the original provider would be deleted) and if the blog reach a longer size I would not have a chance to check every videos. So please, if you find a broken link in the post, please, let me know! Enjoy the Rat Salad Residuals!